Cardinal Environmental was retained to advise on the removal of asbestos containing ceiling tiles. 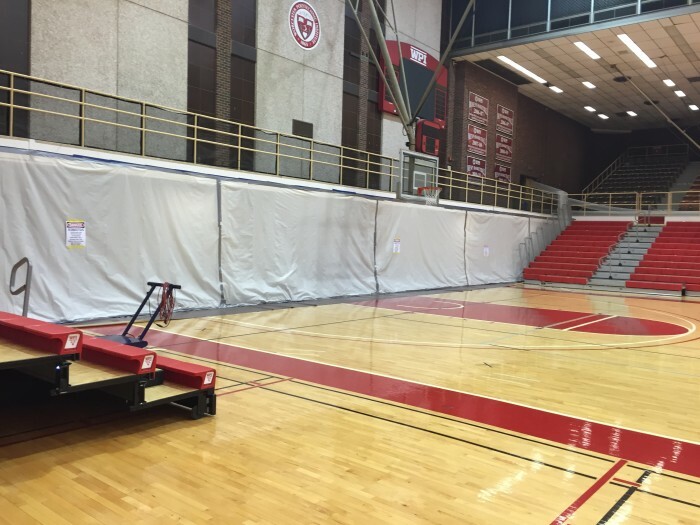 After discussing the project with the WPI Assistant Director of Environmental Health and Safety and the Director of Facilities, Cardinal Environmental determined it was more prudent and cost effective to remove all the suspected ceiling tiles. This approach alleviated any future safety concerns as well as controlled the overall cost. It was also determined that Cardinal Environmental would perform the abatement in three (3) separate phases instead of doing all of the work at one time. The project timeline and starting date were agreed upon and Cardinal worked around the clock during each phase to avoid disrupting the college athletic programs. Throughout the project, Cardinal Environmental worked closely with the Director of Facilities, and the Assistant Director of Environmental Health and Safety from WPI to make sure all of their needs were being met and to be able to address any and all concerns immediately. Cardinal coordinated it’s work with WPI’s Consultant Project Monitor to ensure all parties were informed of the projects progress and that all of the work performed met their expectations and regulatory guidelines. 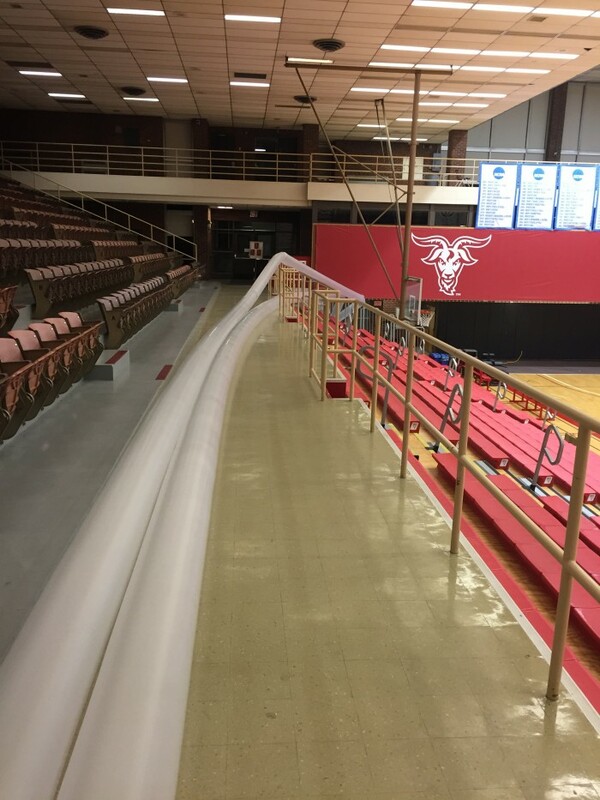 Cardinal Environmental installed over 90,000 square feet of 6m flame retardant polyethylene containment. They removed 5,760 sf of asbestos ceiling tiles during the three phases, with zero breach and final air quality resulting well below the limits designated as acceptable for human exposure.